Borneo is an island with an unlimited number of places to explore, exotic wildlife to spot and beautiful places to visit. Home of native orang utans, as well as monkeys, tropical birds, turtles and the world’s largest fish, the whale shark, Borneo is perfect for anyone who enjoys finding exotic creatures. Beautiful turquoise beaches surround this rain forest-filled island, creating a wonderfully relaxing setting for a luxury holiday. 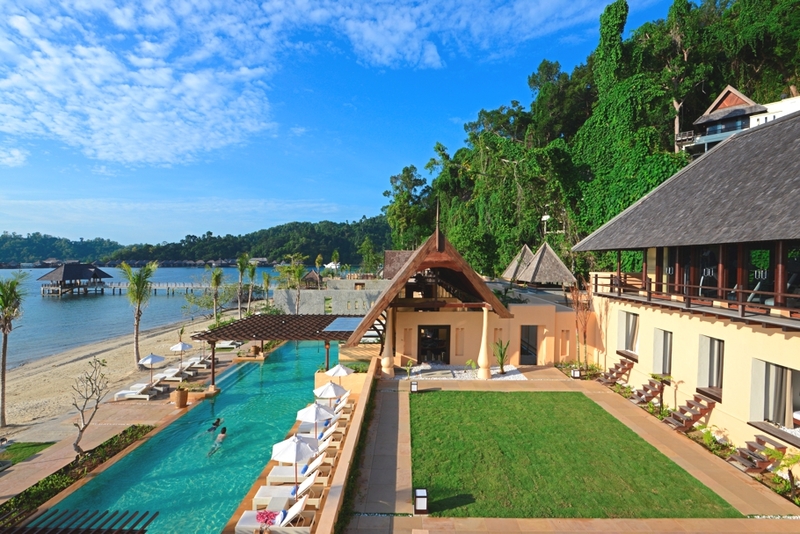 The accommodation in Borneo is made special mainly by the beauty surrounding it, but also due to the unique way in which it is presented – Borneo’s own special magic. Gaya Island Resort is a hidden gem nestled within the Tunku Abdul Rahman Marine Park off the coast of Kota Kinabalu in Borneo, the 121-villa resort rests along the coast of Malohom Bay, a natural sanctuary nestled in the hillside of an ancient rainforest with a stunning outline of Mount Kinabalu on the horizon.